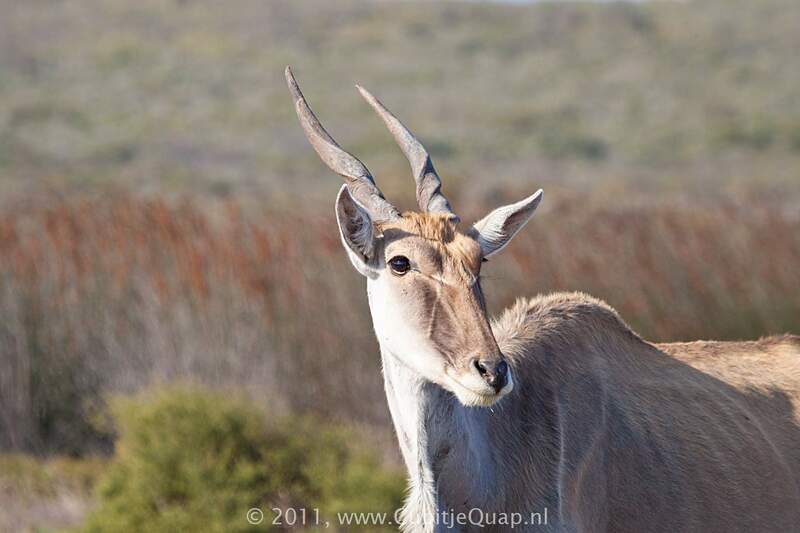 The largest living antilope, the eland has a cow-like appearance. 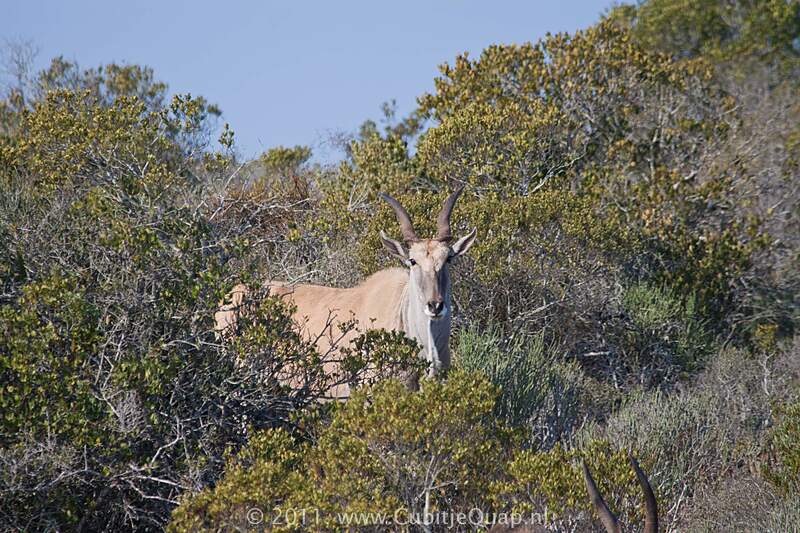 Its general colour is usually fawn or tawny, turning blue-grey with age, particularly on the neck and shoulders. 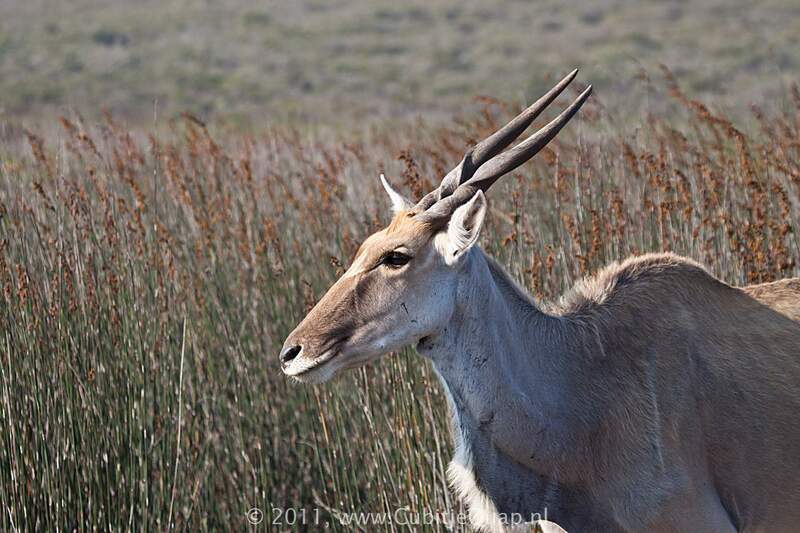 Adult bulls develop a patch of fairly long, dark, course hair on the forehead. A short dark mane runs down the back of the neck. 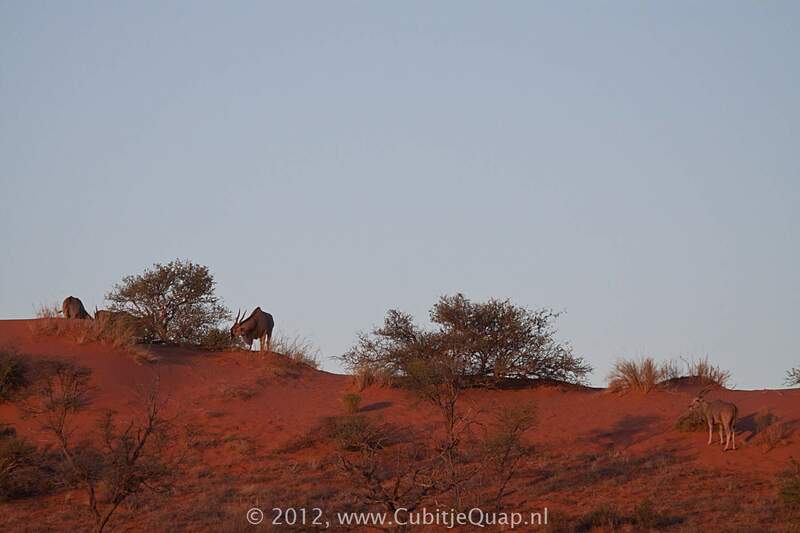 The tail is fairly long with a tuft of black hair at the tip. 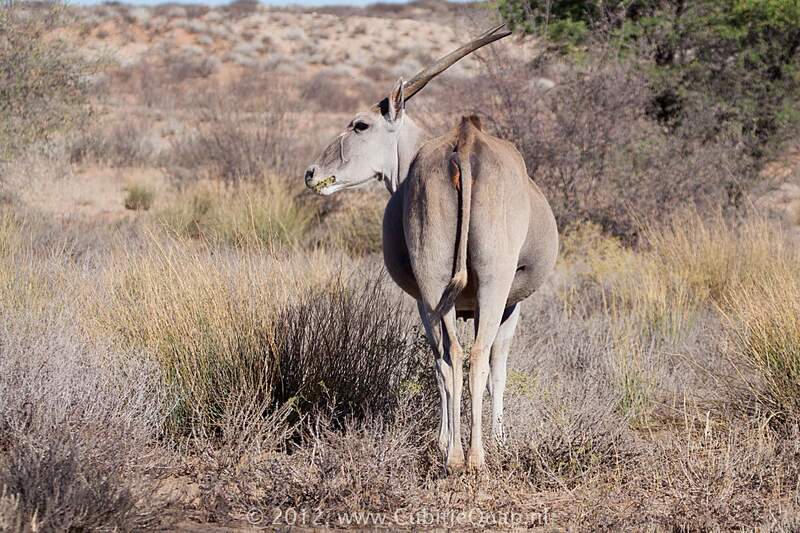 Older bulls typically develop a large dewlap on the throat. 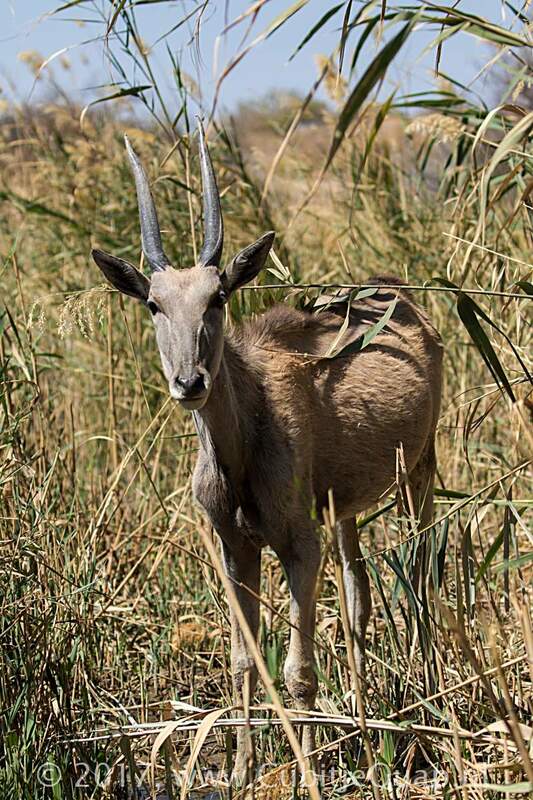 Both sexes have horns, but those of the bull are thicker and the shallow spiral is marked by a prominent ridge. 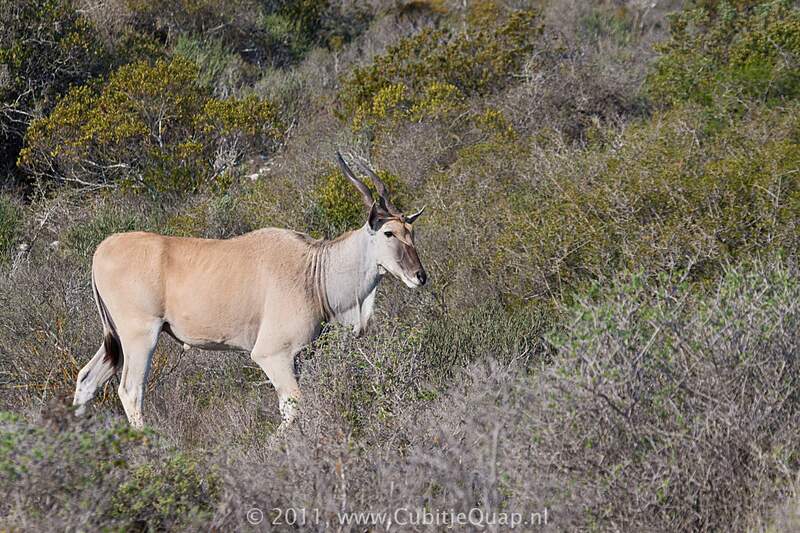 The eland occupies a wide range of habitats from desert scrub to montane areas, but shows a preference for open scrub-covered plains and woodland savanna. 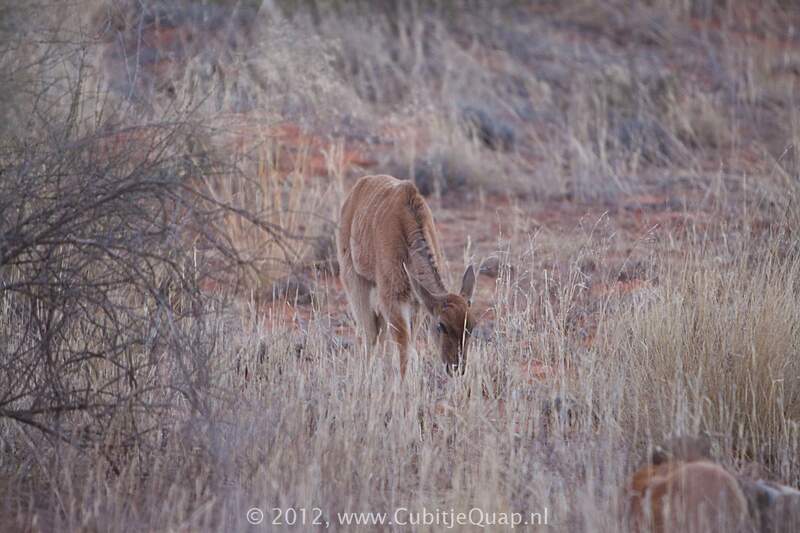 Normally occurs in herds of 25 - 60 individuals but temporarily associations of more than 1000 are occasionally seen. 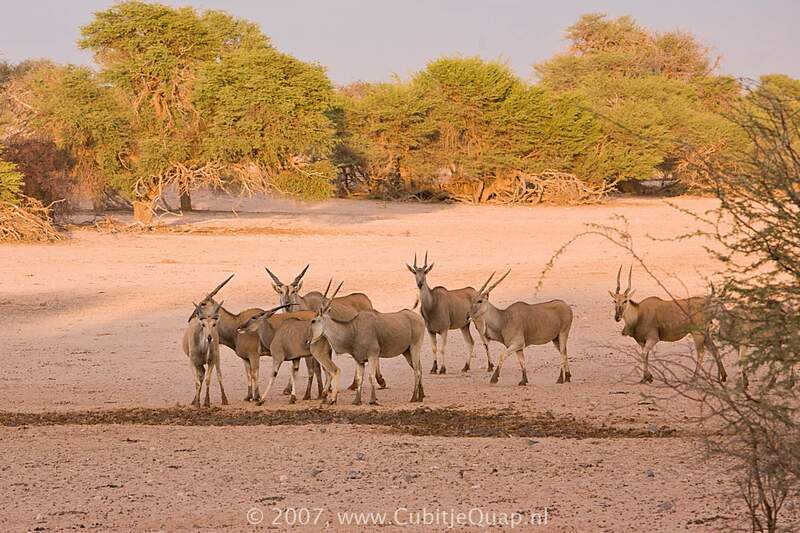 The larger gatherings usually occur during the rainy season. 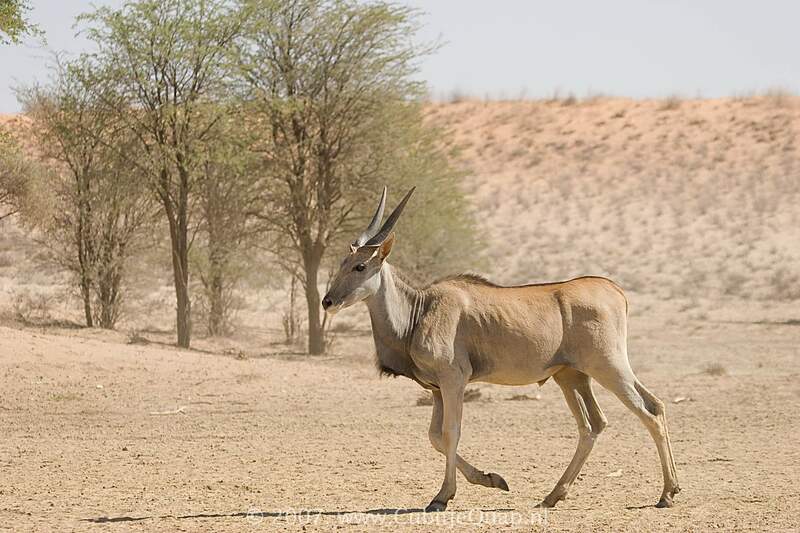 In some areas eland tend to be more or less sedentary, whereas in others, such as the Kalahari, they may move considerable distances in search of suitable food. 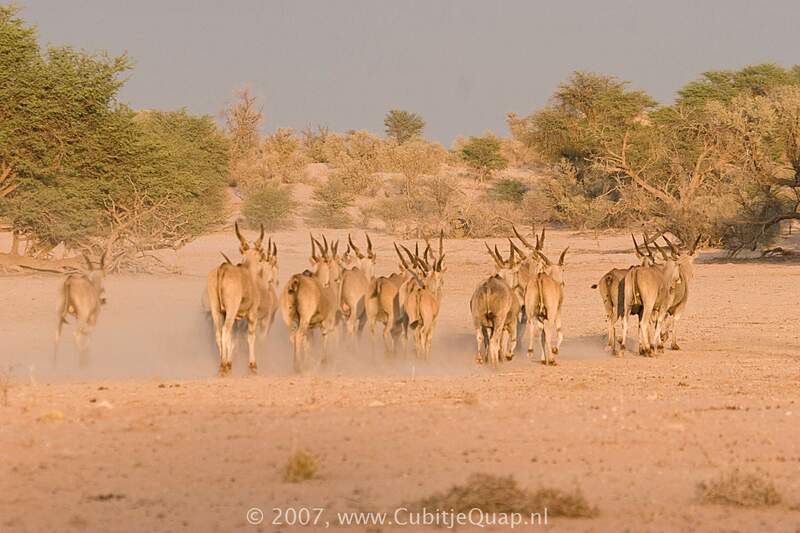 Although a hierarchy exists within eland herds, there appears to be no defence of territories. 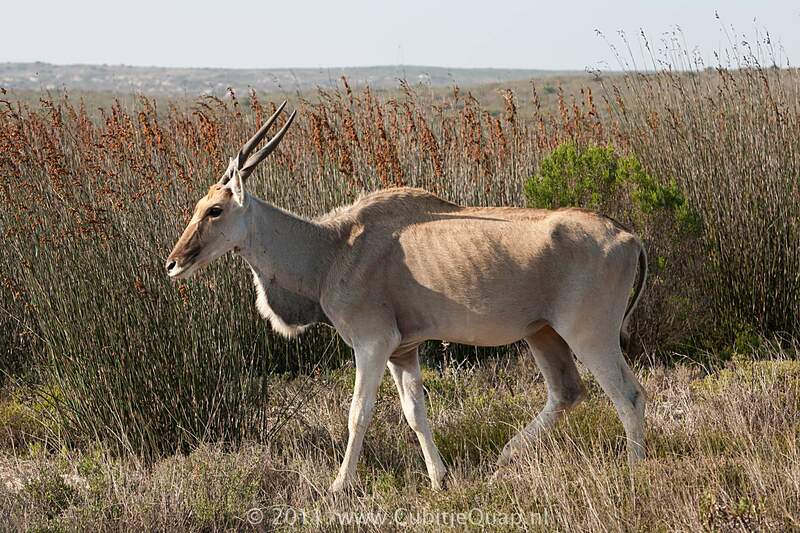 Eland are predominantly diurnal but also feed at night, particularly during the summer months. 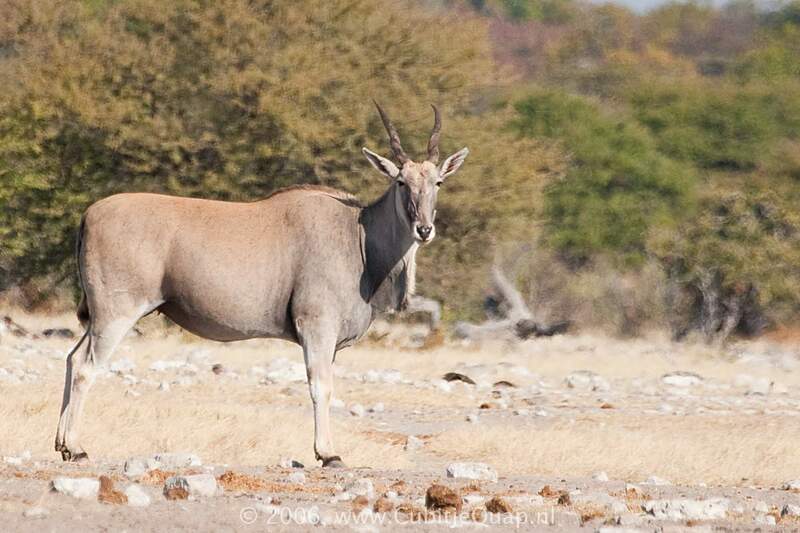 Predominantly browsers, eland do occasionally eat grass. 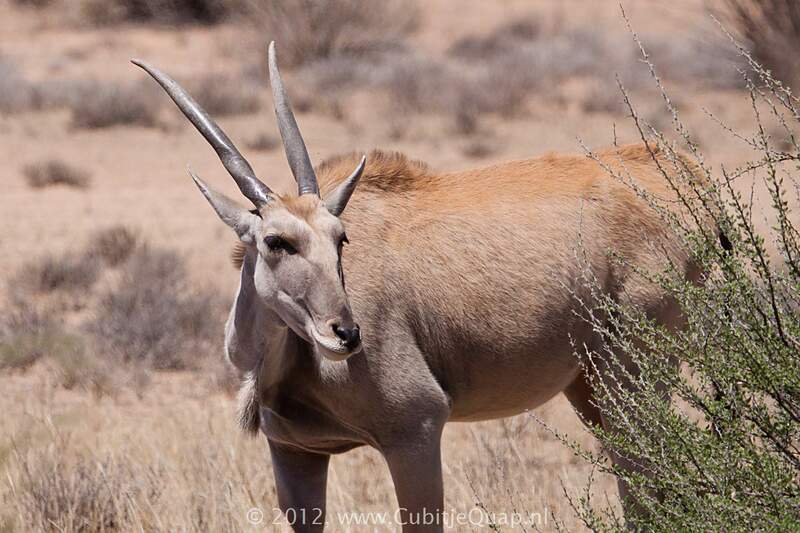 They dig for roots and bulbs with their front hoofs and also use their horns to knock down foilage. They are independent of water but will drink when it is available.